Julie Cruikshank, a leading documentarian of the lives of women in subarctic societies, received the life stories of three elderly women of Athapaskan and Tlingit ancestry for Life Lived Like a Story (1990), a follow-up to her Athapaskan Women: Lives and Legends (1979). Key developments in recent Yukon history are examined with stories from Aboriginal elders in her study, Reading Voices: Oral and Written Interpretations of the Yukon's Past (1991). She also wrote The Stolen Woman: Female Journeys in Tagish and Tutchone Narrative (1983) and The Social Life of Stories: Narrative and Knowledge in the Yukon Territory (1998). Although Cruikshank's geographic range of study is mostly beyond B.C. 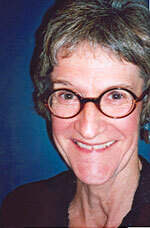 borders, she has had local influence as an instructor of anthropology and a curator at UBC's Museum of Anthropology. Reviewing Life Lived Like A Story for the Globe & Mail in 1991, oral historian Barry Broadfoot wrote: "Throughout these edited memories, supervised by the women themselves, there is a strong vein of modesty and often a sympathetic concern for the feelings of families of those long dead. For instance, Skookum Jim--one of the men credited with the discovery that started the gold rush--became a drunk, but his problem is referred to in a roundabout way. There is virtually no animosity towards the whites who invaded their country, although there are sly and comic references to their ineptness. At times, a sense of actual affection is evident. Integrity is here, and wisdom. There is no doubting the authenticity of the voices. As women, they had power and they used it wisely, and through their words and Cruikshank's skills, you will change your mind if you think the anthropological approach to oral history can only be dull. As Angela Sidney says, 'I have no money to leave to my grandchildren. My stories are my wealth.'" Whereas Aboriginals viewed glaciers as sentient and animate in their oral histories, Europeans have tended to see them an inanimate and subject to measurement and scientific investigation. Julie Cruikshank has investigated historical and contemporary encounters with glaciers in Do Glaciers Listen? Local Knowledge, Colonial Encounters and Social Imagination (2005), examining a newly designated World Heritage Site that spans the borderlands of Yukon, northwest British Columbia and Alaska. Cruikshank, Julie. Athapaskan Women: Lives and Legends (Ottawa: National Museums of Canada, 1979). Cruikshank, Julie. The Stolen Woman: Female Journeys in Tagish and Tutchone Narrative (Ottawa: National Museums of Canada, 1983). Cruikshank, Julie. Life Lived Like a Story: Life Stories of Three Yukon Native Elders (Lincoln: University of Nebraska Press; UBC Press, 1990). Cruikshank, Julie. Reading Voices: Oral and Written Interpretations of the Yukon's Past (Douglas & McIntyre, 1991). Cruikshank, Julie. The Social Life of Stories: Narrative and Knowledge in Northern Canada (Lincoln: University of Nebraska Press; UBC Press, 1998). Cruikshank, Julie. Do Glaciers Listen? Local Knowledge, Colonial Encounters and Social Imagination (UBC Press, 2005). [BCBW 2005] "Anthropology" "Women" "First Nations"
Julie Cruikshank has found out that glaciers can be mobile in more ways than one. According to Tlingit and Tagish storytellers, not only do glaciers have names and take on human characteristics, they can be quick to respond to human indiscretions or be placated by quick-witted responses. In Do Glaciers Listen? (UBC Press $29.95), Cruikshank chronicles the entanglement of natural and cultural histories pertaining to icy remnants of the last Ice Age. Subtitled Local Knowledge, Colonial Encounters and Social Imagination, Cruikshank's sixth book investigates both historical and contemporary encounters with glaciers, weaving indigenous oral traditions, early explorers' tales and the work of modern scientists and environmentalists. Whereas Aboriginals have long viewed glaciers as sentient and animate in their oral histories, Europeans have tended to see them an inanimate, and subject to measurement and scientific investigation. Now a professor emerita in the Department of Anthropology at UBC, Cruikshank first came to the Yukon from Ontario in the late 1960s, arriving in Whitehorse to document the impact of the Gold Rush and the Alaska Highway on the lives of Yukon women. As she asked obvious questions about how day-to-day activities had shifted with more links to the south, she received less-than-obvious answers. As Cruikshank produced her books, the trio kept returning to glaciers in their storytelling. When she asked them why this was so, even though they no longer lived near the icy mountain ranges, they suggested the reasons were self-evident. Intrigued, Cruikshank decided she must visit the icebergs herself. She discovered, in her research, that the glaciers of the Mount St. Elias ranges underwent dramatic social and geophysical upheaval during the late eighteenth and nineteeth centuries. Massive icefields surrounding the Alsek River, near the area where Mrs. Smith was born, surged as much as a kilometre at a time. In Kitty Smith's grandparents' lifetime, the Lowell Glacier, (locally called N�l�di or "fish stop";) surged until a 200-metre ice wall blocked the river. When the dam broke, the water burst forth with such force that villages were washed away and the landscape was scoured. Although scientists can measure these phenomena and can tell us how many times a particular glacier has surged over a 2800-year period, the women Cruikshank interviewed speculated on human reasons for the upheavals. They believed human folly, such as cooking with grease near a glacier, or making careless remarks, could cause the unforgiving glaciers to react. In particular, Cruikshank explores the period when aboriginal people were forced to move out of what is now Kluane National Park. In 1943, after the building of the Alaska Highway, the area was protected because over-hunting had impacted the wildlife in the area. A UNESCO World Heritage site now encompasses the Canadian and American national, provincial and state parks in the area. Do Glaciers Listen? highlights some of features of this newly designated World Heritage Site that spans the borderlands of Yukon, northwest British Columbia and Alaska. According to Cruikshank, glaciers continue to provide new insights and in some cases are bringing scientists and First Nations closer together. New discoveries are being made in melting ice patches, which are helping bring together the stories and timelines around human use of the area. Aboriginals now organize culture camps on their territory, inviting scientists and archaeologists to come and discuss the work they do, but Julie Cruikshank suggests that although environmentalists and others may be genuinely interested in Aboriginal points of view, the importance of Aboriginal stories tends to get set aside. Heather Ramsay writes from Queen Charlotte City. On December 30, 2012, His Excellency the Right Honourable David Johnston, Governor General of Canada announced 91 new appointments to the Order of Canada. The new appointees include two Companions (CC), 33 Officers (OC) and 56 Members (CM). These appointments were made on the recommendation of the Advisory Council for the Order of Canada. The Order of Canada, one of our country's highest civilian honours, was established in 1967, during Canada's centennial year, to recognize a lifetime of outstanding achievement, dedication to community and service to the nation. Over the last 45 years, more than 5,000 people from all sectors of society have been invested into the Order. Toyoshi Yoshihara, CM, of Vancouver and Tokyo, for his achievements as an entrepreneur and arts patron dedicated to bringing Canadian works of drama to the Japanese stage. Other inductees include former BC premier Mike Harcourt, Indigo CEO Heather Reisman, hockey player Paul Henderson, philanthropist and founder of the Griffin Poetry Prize Scott Griffin, choreographer Paul-André Fortier, chief curator at the Art Gallery of Ontario Roald Nasgaard, and CBC broadcaster Michael Enright.